Patricia Oelze has been a freelance writer and research expert for over five years for many subjects including mental health topics. She is currently writing for BetterHelp.com/advice on a variety of topics like depression, anxiety, counseling, psychology, and addiction. Patricia has been focused on introducing the online mental health option to those who may benefit from it and reaching out to those in need. 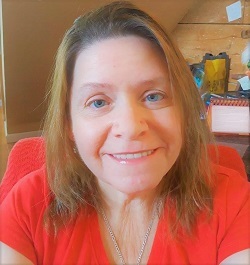 As a writer and editor for BetterHelp, Patricia has covered subjects such as addiction, marriage and relationship counseling, post-traumatic stress disorder (PTSD), depression, anxiety, bipolar disorder, bullying, domestic violence, personality disorders, and psychology. She has had many articles and content published on mental health professional websites such as Psychology.org, PsychologyToday.com, APA.org, and ADAA.com. Patricia’s interest in psychology as well as sharing her knowledge of many different mental health subjects indicates her passion for the field and in helping others. Before working as a freelance writer and researcher, Patricia worked with Walmart while pursuing her master’s degree in business. After being injured on the job, Patricia decided to try freelance writing while finishing her studies and she has had published hundreds of articles and posts on many different subjects as well as an e-book. By stepping into this new position, Patricia has found that her true passion was psychology and decided to devote her education to getting a Ph.D. in Psychology. Patricia Oelze has a degree of master’s in business administration with a concentration in marketing from the University of Phoenix and was on the honor roll with a 4.0 GPA. She has been a member of the Delta Mu Delta International Honor Society in Business since 2011. She is now in her second year of her Ph.D. in General Psychology at Capella University with an interest in addiction therapy. She is due to graduate in 2020 and plans to be a research assistant and professor of psychology at Capella University. I found my passion for psychology after living through years of physical and mental domestic abuse as well as depression and addiction. Living with depression my whole life and spending years self-medicating with alcohol, I have been in many abusive relationships and even ended up in a battered women’s shelter and homeless when trying to get out of a violent marriage. Going through these issues myself and spending time with others who went through the same or similar problems, I found that I could relate to those who need help easily by reflecting on my own past. I plan on helping others get help with their situations by sharing my own knowledge and success.